Real Madrid’s Brazilian star Vinicius gave his first interview in Spain to Manu Carreño on the programme El Larguero, Cadena SER. During the show, the 18-year old that has taken LaLiga by storm this season talked about his current injury, as well as topics including the Ballon d’Or, Cristiano Ronaldo, Rodrygo, Isco… One point in particular, however, grabbed the headlines, why he chose to join Madrid rather than rivals Barcelona, something that has been said before. Vinicius revealed he chose the “best project” when opting for Real Madrid over Barcelona. The Brazilian forward signed for LaLiga giants Madrid in May 2017 before officially making the move from Flamengo in July last year. And he revealed that Barça had offered him more money, but his decision was based on what he felt was a better move. “When I was 16/17 I was playing for the South American U-17s. My father never told me of interest [of other clubs] until Barcelona and Real Madrid came,” he told Carreño. “We then visited both clubs to choose the best project. When asked in follow up questions whether he thought he’d ever wear the Barça shirt, the youngster was fairly emphatic with a “no”. 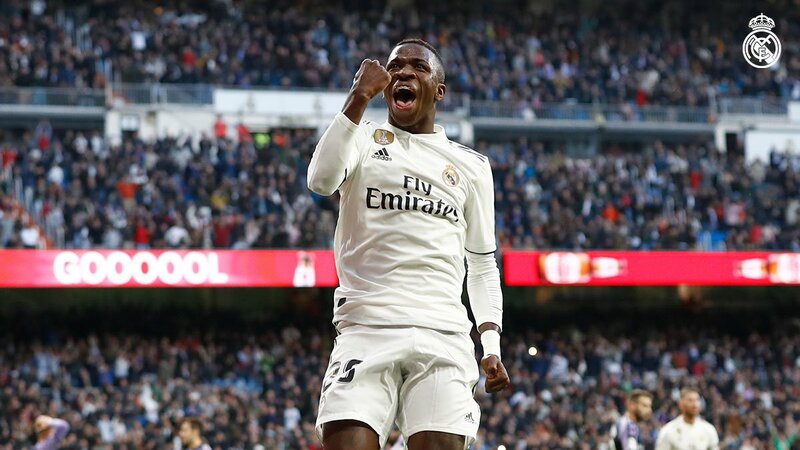 Vinicius suffered an ankle injury earlier this month and is set to be sidelined until May in a blow for Madrid. According to the player, though, compatriots Casemiro and Marcelo both helped him realise that his career is long, and that patience was the key. However, the teenager must wait to feature under Zinedine Zidane, back at the helm after replacing Santiago Solari, and Vinicius said he could already see the differences between the two coaches. “Casemiro told me that when Zidane spoke, he would get a bit nervous,” he said. “It is quite different how Zidane speaks compared to Lopetegui. He is a legend, he won everything and he is special. One of the questions put to Vinicius was regarding the individual award given each year to the best player in the world based on accumulated votes. Cristiano Ronaldo and Lionel Messi have dominated this for the last decade – Luka Modric breaking the duopoly in the latest edition – but the two legends are likely to have hung up their boots ahead of the Brazilian’s plans. During the in-depth interview, Vinicius also referred to teammate Karim Benzema being the non-Brazilian who supported him most in his early days at the Madrid club. Another player who got a mention was Rodrygo, another young compatriot who will soon be joining the club. Vinicius spoke in glowing terms about him, saying he’s “going to be one of the greats, like Neymar or Mbappé,” helping the club to further success. As seems tediously inevitable these days, the youngster was asked for his view on whether Cristiano or Messi were the best. He kept his answer fairly safe.